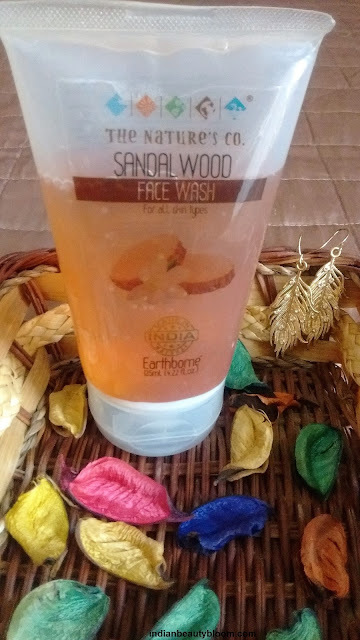 Today I am going to review one more product from the brand The Nature’s Co , its their Sandalwood Face wash . 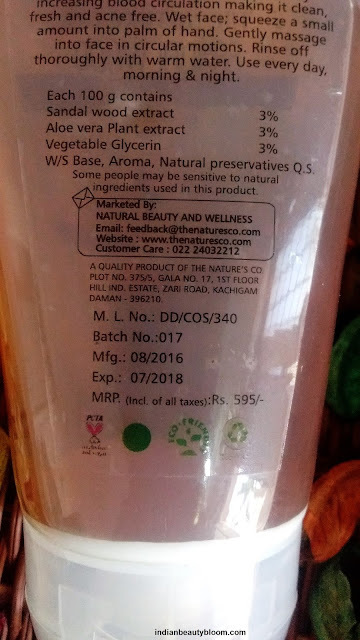 The Nature’s Co is a brand that offers natural and vegan products . They use natural ingredients and essential oils to prepare their products . They have wide range of skin care and hair care products . 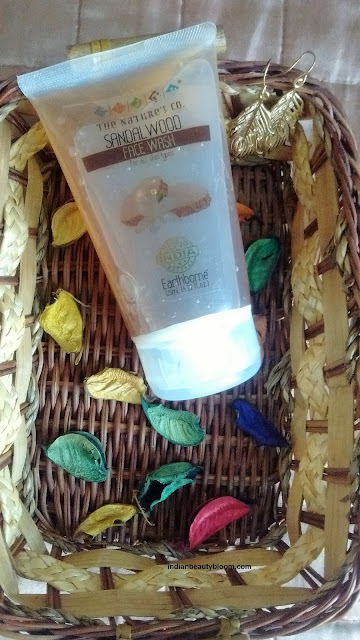 This sandalwood face wash is a product for oily skin, it helps to remove excess oil and treat acne. The product comes in a good quality plastic tube from which it can be easily squeezed out and used , but since it has runny consistency one needs to be careful while taking it out . 1. All natural ingredients and no harmful chemicals or preservatives added to it . 2.Contains sandal wood extract and Aloe Vera extract which help to treat acne and pimples. 3. A Vegan product , not tested on animals. 4.Purifies the skin , removes excess oil and dirt and makes the skin feel and look clean and fresh . 1. Bit expensive as compared to face wash from other brands . 2.Not suitable for people with dry skin type . I am using this face wash past one month and it’s good . It’s a golden colored liquid face wash .
Has a nice fragrance and helps to remove and control excessive oil from face . It has a runny consistency so one needs to be careful while opening the pack or else one might end up in taking out more than required quantity of the product . It has helped to control excess oil secretion from my face so now my face does not looks too oily as it used to look earlier . So would recommend this for people with oily skin .